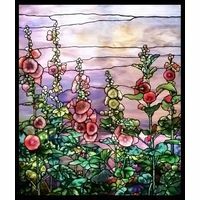 Beautiful hollyhocks are illustrated growing by the side of a calm and translucent lake at the foot of a hillside. 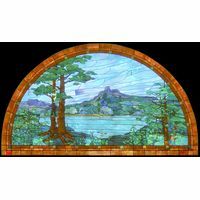 The classic Tiffany style of this stained glass piece makes it perfect for use virtually anywhere. 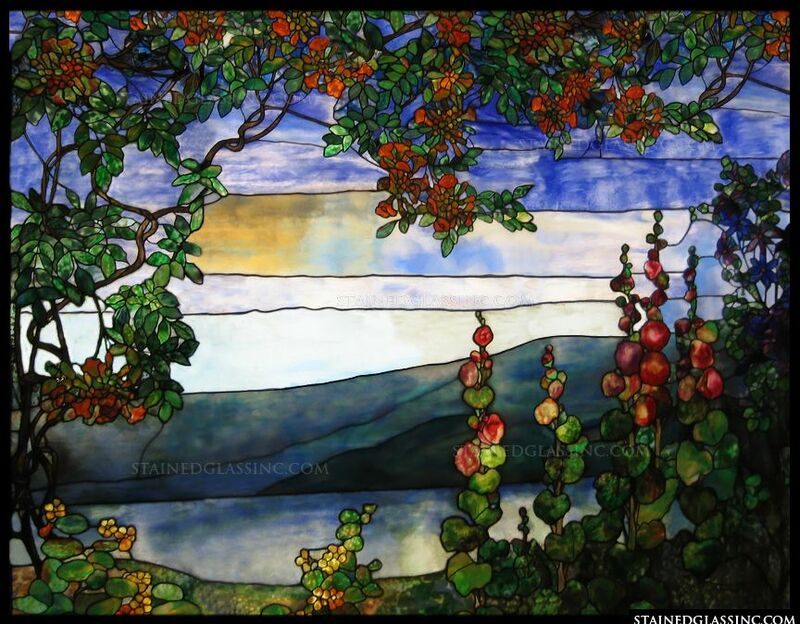 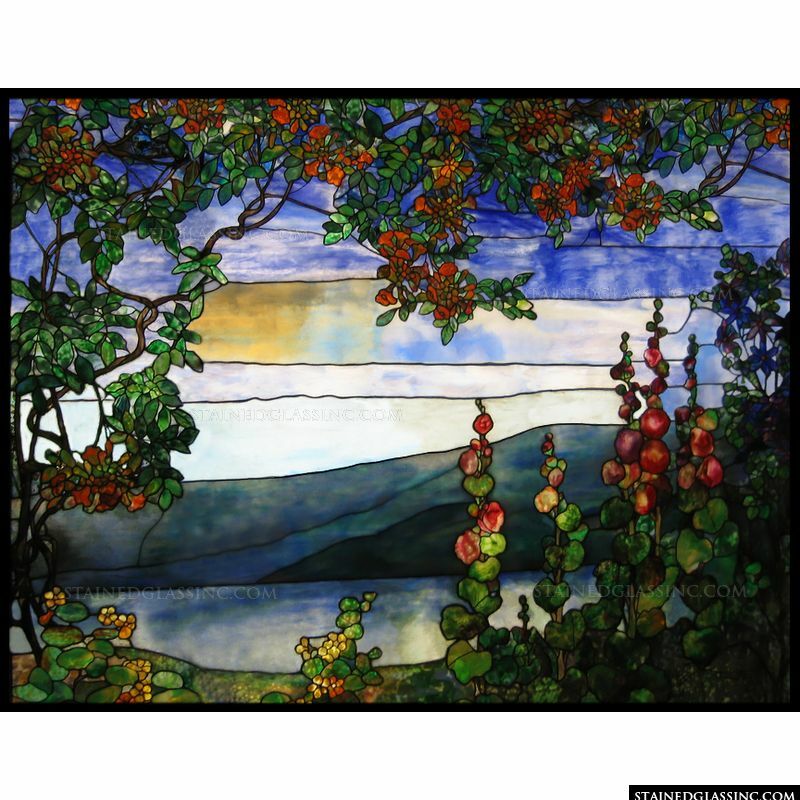 This stained glass panel would make a perfect office partition or hanging stained glass window in your home. 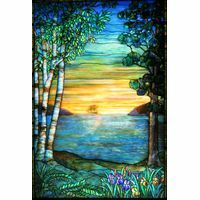 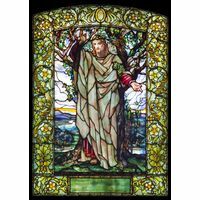 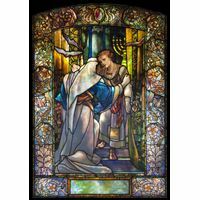 Even church windows will glow beautifully with the addition of this stained glass artwork inspired by Louis Comfort Tiffany.